New Theatre Royal Lincoln offer Business’s the perfect ‘staff perk’ for Christmas. New Theatre Royal Lincoln offers Lincolnshire businesses the opportunity to purchase reduced priced tickets for Snow White and the Seven Dwarfs this Christmas. With significant research into the benefits of arts and culture on a person’s wellbeing, the gift of Theatre, especially Pantomime makes the perfect treat for your team. Group tickets are available for a Christmas party ‘with a difference’ or as tickets to gift for staff to enjoy over the festive season. We hope that offering reduced rate tickets for Businesses gives Leaders something a little different to thank their team this year. I personally have seen more than 400 live performances since we opened in September 2016. I watch our visitors captivated by the high-quality shows and leave happy, relaxed and with a memory to treasure. I don’t think there is a better gift than that. Our in-house performances; the Christmas Pantomime, Easter Pantomime, Comedy Night at the Royal and Variety Show have group rates available. 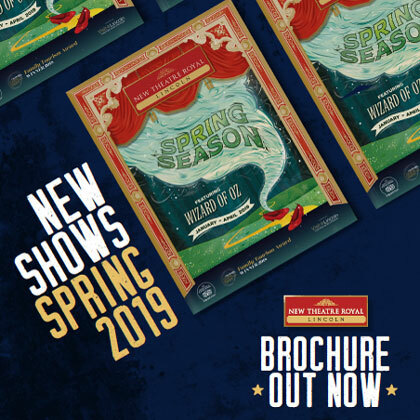 Theatre is a social and magical experience and we hope to entice more visitors throughout 2019 and beyond with high quality shows, exemplary Customer Service and affordable prices. If you would like to be a ‘Business Partner’ and access these great perks for your team please contact Emma, The New Theatre Royal’s Business Development Manager for the different packages available. Investment into the Theatre goes directly to a restoration fund to keep the Theatre thriving for generations to come.